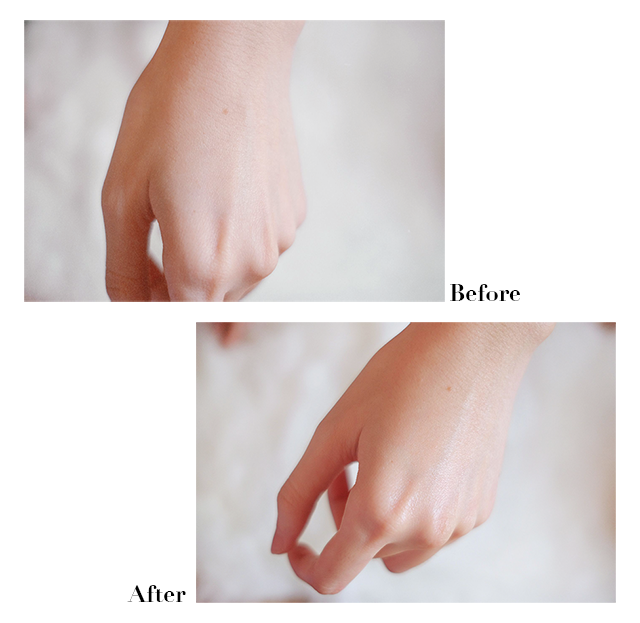 Hi guys, I’m back with a skincare review! 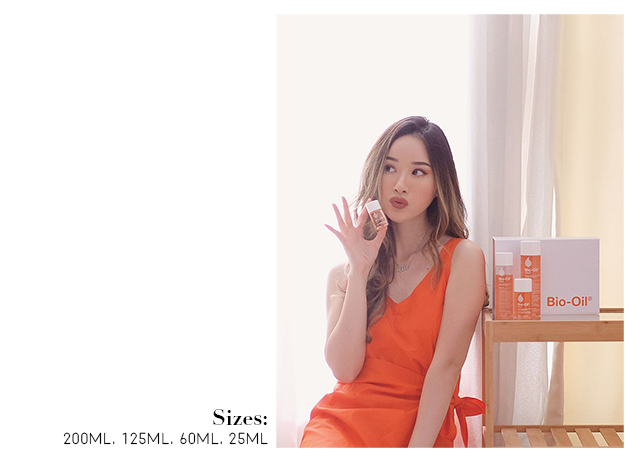 It’s a product that I’ve been wanting to try for some time now and has been highly-raved by many people, including A-list celebs like Victoria Beckham and Natalie Portman: Bio-Oil! 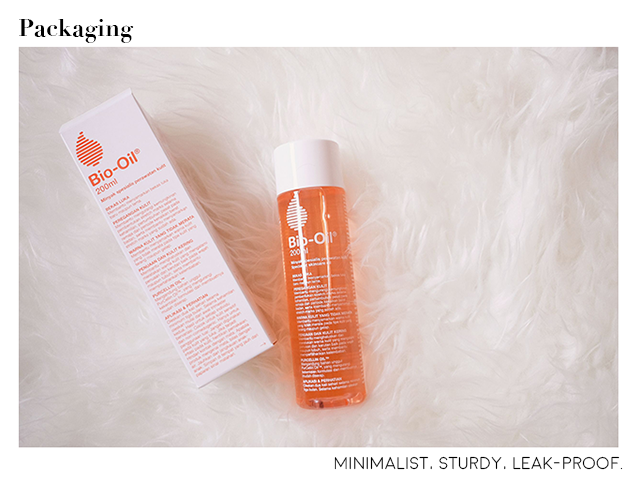 Various answers came up, but the most common answer of all was… you guessed it, Bio-Oil! Even if I wasn’t bothered with some stretch marks on my thighs (hey, when you’ve experienced a huge breakout TWICE in your life, you can’t really be bothered with something that can be covered with clothes 😂), I was INTRIGUED to try this product! 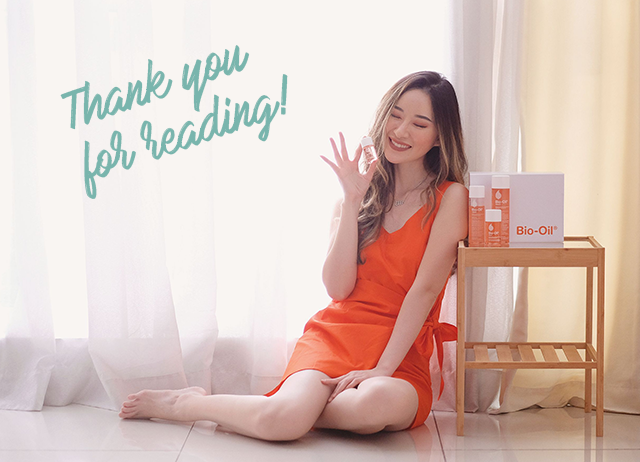 Because first, I believe there is always room for improvement (stretch marks don’t hurt, but I’d be happy if they fade away), and second, Bio-Oil is popular not only for treating stretch marks, but also for smoothing and moisturizing the skin, which I’m a fan of! 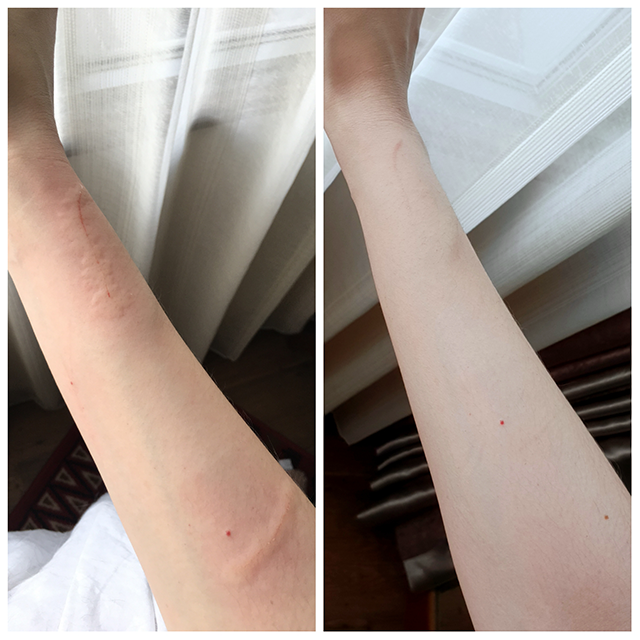 I’ve only been using Bio-Oil for 2-3 weeks now. I apply it daily after every shower to my arms, hips, buttocks, thighs, down to my feet — focusing on where my stretch marks are located, which is my outer thighs near buttocks, and gently massage it into those areas. 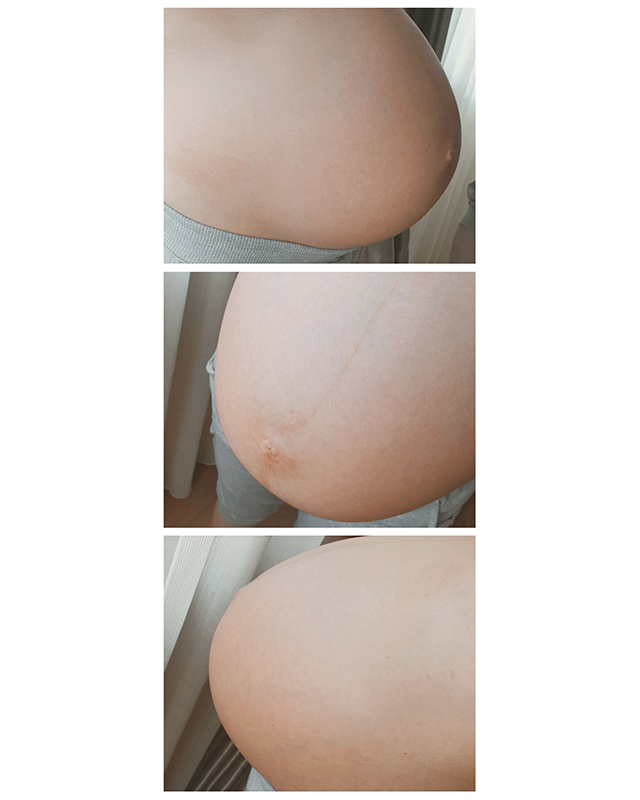 On the other hand, Jess has been using Bio-Oil as soon as she found out she was pregnant and even though her belly has grown SO big right now, she doesn’t have a single stretch mark on it! 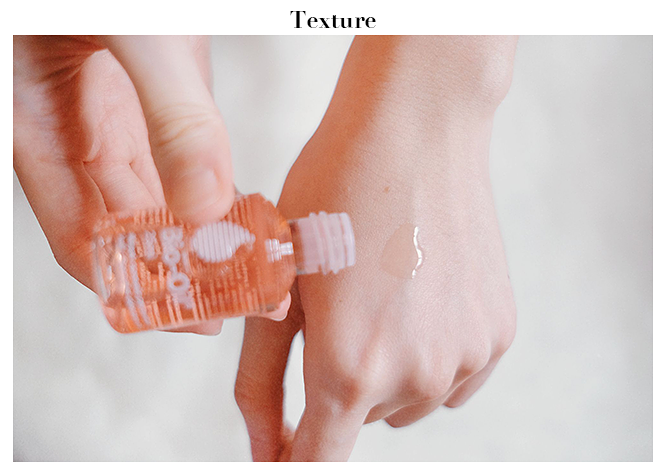 I also read reviews that say Bio-Oil works for acne scars too, but I haven’t tried it on my face yet because I just had a mini breakout last month, so I’m avoiding oil-based products on my face at the moment. But I will for sure try it later because the reviews have been great!